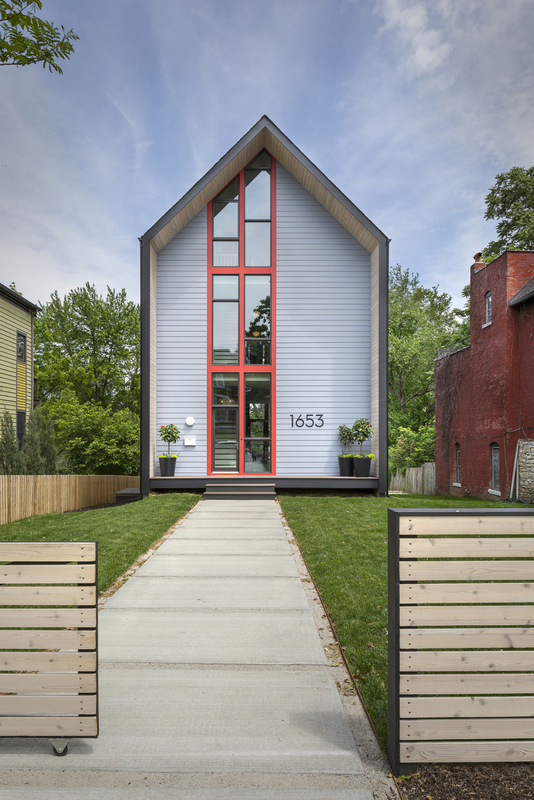 The 1653 Residence in Kansas City, Missouri is a simple modern home with open floor plan and many unique custom features. 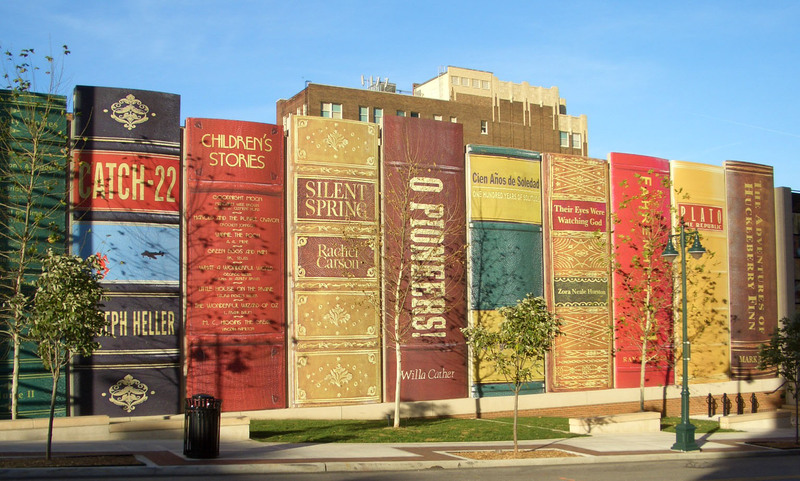 The Community Bookself is an intriguing piece of architecture at the Public Library in Kansas City, Missouri resembling a book shelf. 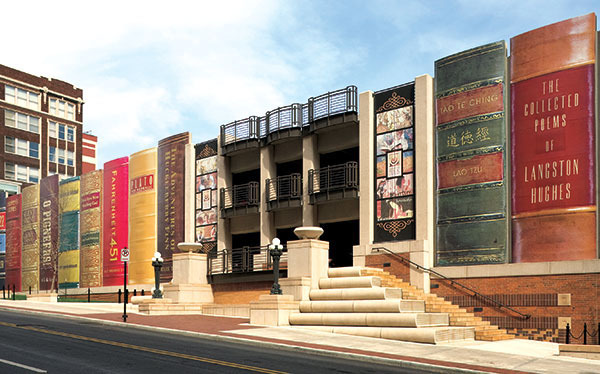 This striking façade, which runs along the south wall of the Central Library, features book spines measuring 25 feet by 9 feet, and showcases 22 titles reflecting a wide variety of reading interests suggested by readers.